Tour to discover Najac countryside with beautiful landscapes and places of interest. A good half of the tour is on country roads. Tour for all the family approchable for occasional hikers. Varied landscapes : countryside, river Aveyron, forest and nestles village. 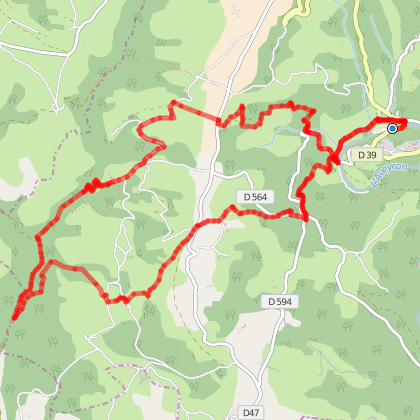 Start possible from the campsite Le Païsserou or from Najac centre. Short cut of the long tour n°3 Vallée de la Jouyre. Landscapes of countryside and forest and a beautiful viewpoint of Najac. Nice tour with a lot of shade to discover old water mills. 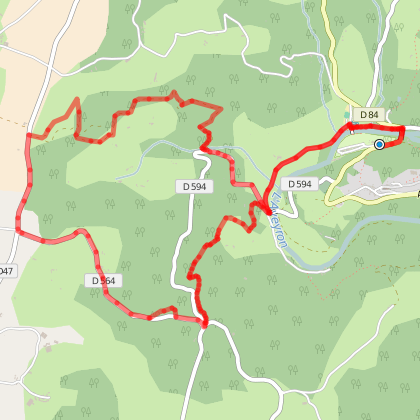 First part on the hills, into the forest, and trip back along the river Aveyron. Start possible from the Holiday Village VAL-VVF.